Agency expert in Digital Strategy, Website Creation, Web Application, E-commerce, Social Media, Content Strategy. Make it is a startup studio. We co-create startups and innovative projects with entrepreneurs. Our team of 25 people helps our startups by offering expertise in 4 areas : software development (website, apps), hardware development (devices, IoT), digital marketing (Idea Testing, Growth Marketing), and day-to-day mentoring and strategic advice. Because we have our 5 startups and as we are entrepreneurs ourselves, we know what the entrepreneur is going through. As we have this experience, we can really work in the best interest of the client/innovator/entrepreneur. We provide an ecosystem and services to give life to your ideas. Your input: an idea, guidelines, a feeling. Our collaboration's output: a website, software, a device, a startup or an innovative project. Our teams want to reduce your risks and maximise your return on investment. For instance, through our service called Test it, we test the market by providing value to your customers without any heavy development (You don't have to have the product to sell it). This way, you check if these customers are ready to pay for your solution. We also develop websites and apps, we create IoT prototypes and MVP’s, and we help you grow your business, from a growth hacking point of view. In a nutshell, if you want to make your idea become a reality, Make it is the one stop shop for all your innovative and entrepreneurial needs. If you are interested or if you want to check how Make it can help you, contact us. And if we can’t help you, we probably have a partner who can. Market testing, Social medias, Growth Hacking... Digital strategy is a catch-all category. We help your at every stage of your project. Do you have an idea and do you want to see if there is a market for it? Don't wait to have your app or your device to see if your potential customers are ready to pay. Let's Test it. Having a business and wanting it to grow? Let's Grow it: we analyse your entire lead acquisition and conversion process, in an entrepreneurial mindset. Focusing on solving your bottlenecks, we will help you focus on what really matter... Making social media campaigns is not going to help you if your website does not convert your visitor into customer. We create the webapp that will help your business to thrive. In the very competitive environment of app development, we are different because we will be your partner in creation. Working on your project, we want it to be worth the money: that's what we do on a daily basis for our own startups and for our clients. We will focus on what really matter to help you going from an idea or a project to a beautiful and user-friendly webapp. We help you test or grow your business thanks to social medias. We give advice, we create your tailored strategy with you, we conduct your campaigns, we analyse and we iterate. Two focuses: reduce your risks and maximise your return on investment. Do you want your visitors to really enjoy their time on your website? In dire need of pages really fitting your identity? Working hand in hand with you, we focus on user experience and we use our experience to maximise your return on investement. Today, e-commerce is a strong asset for most businesses. Looking for a real partner? We can develop your e-commerce, but we will also guide you and implement your digital strategy. We created Helpilepsy's website and app, from scratch. Helpilepsy is a digital assistant for people living with epilepsy. It helps them to detect, understand, manage and share data about their epilepsy with their neurologist. FullUp est une startup qui commercialise des jauges à liquide (eau, mazout, huiles) connectées (IoT), ainsi que les services qui y sont liés. Sur le site de Tipaw, vous trouverez divers services qui aideront votre chien à se sentir bien. Wondercar est un projet de D'Ieteren visant à connecter davantage les clients avec les carrossiers, facilitant ainsi la réalisation de devis et le suivi de la relation. 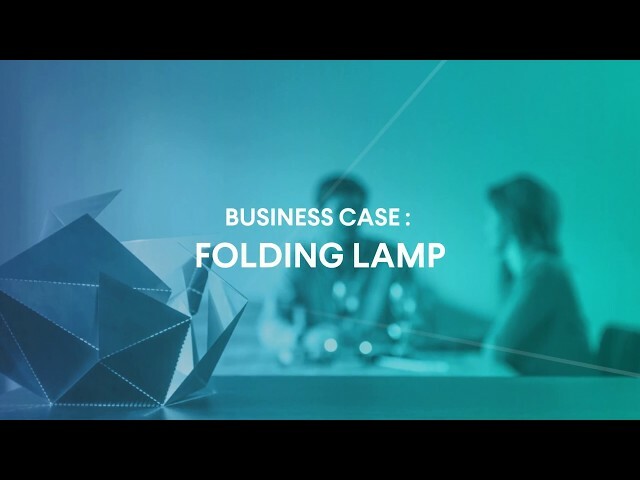 For the Folding Lamp project, we created a website, conducted digital marketing campaigns with A/B testing. Tracking every click and every action of the targets/visitors, we ended up with relevant figures to launch the Kickstarter campaign. ACMG offfers a tailor-made service for real estate. Legal assistance service for Startups. Mobile app that interacts with your audience during an internally live conference. HubGroup offer comprehensive transportation services, tailor-fitted to your needs. The app provide an easy and reliable service to get the best transportation service in your area. Advices for entrepreneurs who want to launch their company at a early stage of their development. Nous avons travaillé avec Make it pour déterminer la façon d'acquérir une partie de nos utilisateurs ainsi que le coût. Nous avons été très bien entouré pour démarrer le projet; Les contacts par la suite sont parfois un peu lent. Equipe jeune et sympathique. L’équipe de Make It est enthousiaste et engagée. Elle ne baisse jamais les bras, quels que soient les challenges techniques rencontrés. Ce n’est pas seulement une équipe de développeurs doués et passionnés, 100% orientés “solution”, ils ont également un sens entrepreneurial très développé qui font d’eux de véritables partenaires tout au long de la mission. Great achievement to update our company brand and website, quality of work definitely there. Modern and efficient approach to the way we identify aCMG online. Nice value for money and respect of the budget. Ups: - Good questions asked upfront, clear milestones, tools and paths to the final objective. - Clear, efficient and quick client communication with Make-it project manager - Good creativity, interactions, exchange of ideas and design dialogue. To be improved: - Optimistic deadlines - Too many and unclear roles of make-it project team at kick-off. Makeit is the only agency that I know that can bring your innovative idea to that level of execution. They will co-create with you your digital product and/or service by integrating all your digital devices and apps together for one single user experience. They have engineers specialized in IOT technologies, Mobile App development and Web development to create a convenient service for your becoming company and/or your innovative brand. If you are an ambitious entrepreneur or intrapreneur willing to change the statu-quo in your company, but you don't have the skills set to test out your idea? Makeit is there for you.